To remain nimble in the rapidly changing business world, embrace a service-oriented architecture (SOA). 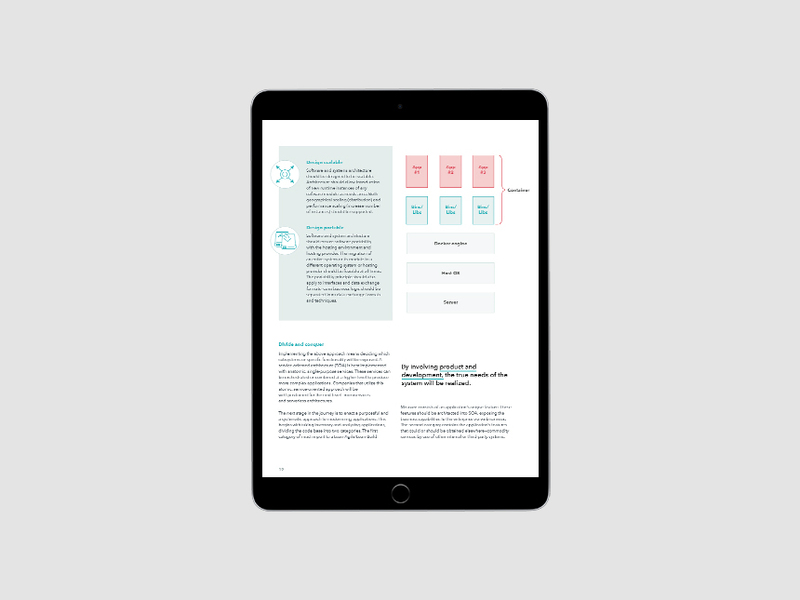 This approach involves single-purpose, standalone services or modules, which can be orchestrated or combined at a higher level to produce more complex applications. With such a structure, any module can be replaced with another (as long as it features a matching interface). Companies that adopt this approach will be well-positioned for the microservices and server-less architectures of the future, as we discuss in a recent white paper: “Your Customer is the North Star: Navigating Beyond Digital Transformation." In general, SOA reduces the risks and costs of deployment and maintenance. For one, such a structure simplifies the sunsetting of individual services or applications. Further, since services are separate entities, one failing will not damage the entire system. Since each service can have its own scaling and resiliency configuration, resources can be distributed more evenly, without impacting other parts of the system. In addition, extensions for a single service can work independently, transitioning dependencies to a new version incrementally instead of as one “big-bang” release.